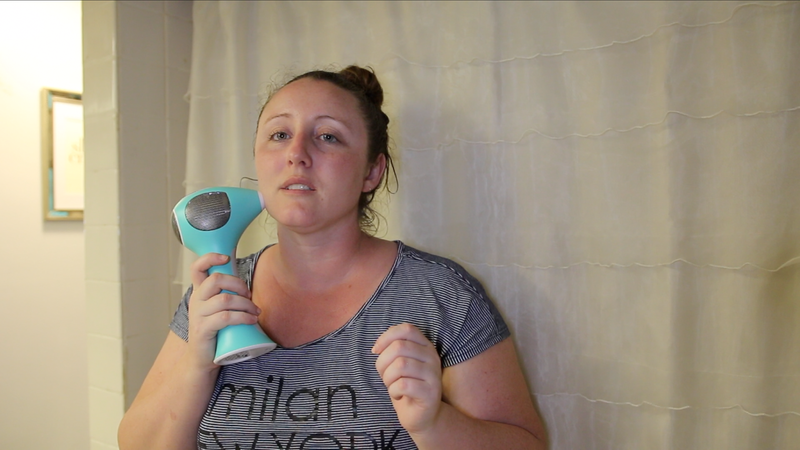 For Christmas last year Don got me the Tria 4X Laser Hair Removal system, I wanted to do a first impression, and somehow it kept getting put off, until now. Before trying to use the Trial you should know that this only work on lighter skin tones with darker hair, if you have blonde hair where you are trying to use this, the laser will not kill the follicle as the hair is too light. If you have a dark skin tone, the laser is unable to “tell” when it has successfully treated the hair follicle which can lead to burns on the skin. After you have determined you are a candidate for the Tria then you need to activate your device on their website, I didn’t see this part at first, which lead to some pretty irritating moments in this video. Once it’s activated and turned on I would suggest starting on your arm or leg to determine your level of tolerance. I would like to point out that so many people said it doesn’t hurt more than waxing, which lead me to believe there would be a bit of pain involved. I honestly felt nothing! However it does make a beeping sound every time you place it on the skin, to let you know its time to lift off, I was not prepared for that and it did startle me. It felt a bit warm, not anything painful though. This was a bit warmer like a slight burning sensation, nothing that wasn’t tolerable. It was quite warm, as the skin on your face is more sensitive, and at one point I felt a bit of a zap, similar to a shock. I went all the way up to level five on my legs and honestly didn’t feel anything other than the warmth, it didn’t hurt or burn. I am going to use this every two weeks for the next three months and then after that I will get back to you and let you know what I think.